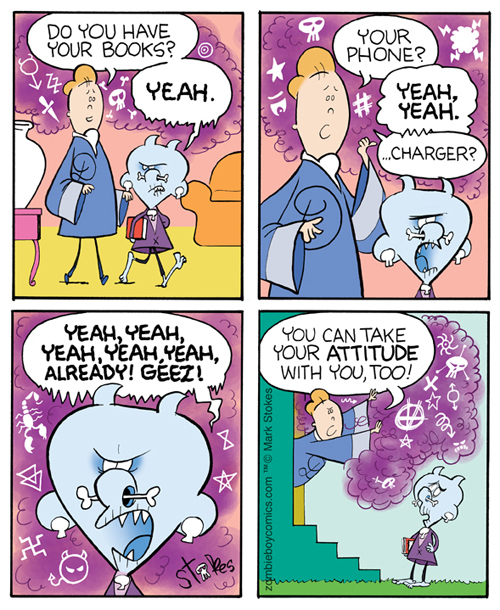 I'm Mark Stokes, creator of the Harvey Award nominated webcomic Zombie Boy Comics . 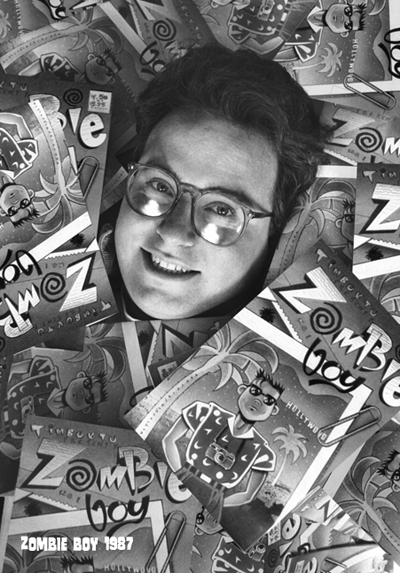 This year is Zombie Boy's 30th Anniversary. I created him in 1987 and since then he has been published in his own series of comic books and as an online comic strip since 2010. In 2015, I Kickstarted a book collection of my online comic strips. In 2013, in an attempt to file for a trademark for “Zombie Boy” I was informed that a company was already in the process of applying for the “Zombie Boy” trademark in four goods and services classes including publications, merchandising and all manner of media. The trademark applicant has recently filed a Notice of Publication, the final stage before they are given the trademark, and I've since filed an extension of time to file an Opposition. I have until April 1, 2017 to make that filing. I need to hire a lawyer and raise enough capital to oppose and apply for the trademark in my name if I want to continue using the name Zombie Boy as I have been. I am blessed that I am able to make my living as an artist, but now I'm fighting a battle that is beyond my financial means. Zombie Boy and I have taken a lifelong journey together, and if I don't fight, I could lose the right to publish this character who I have worked with for over half of my life. 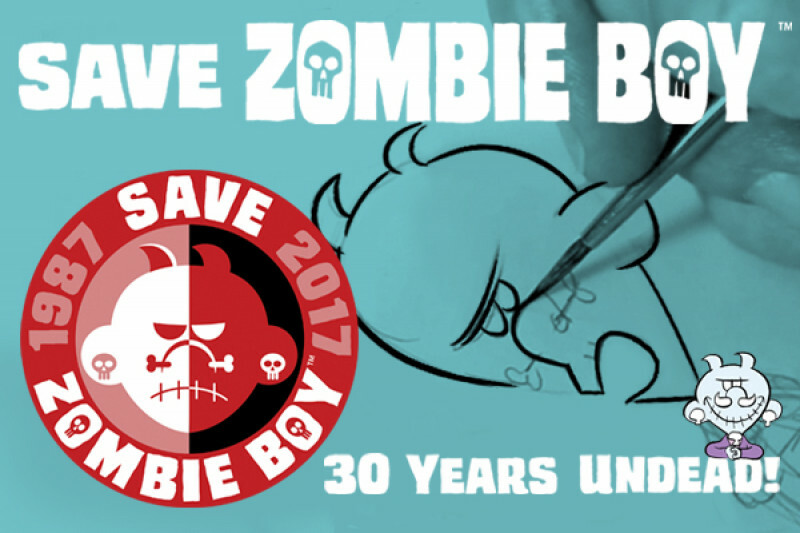 Please help save Zombie Boy! 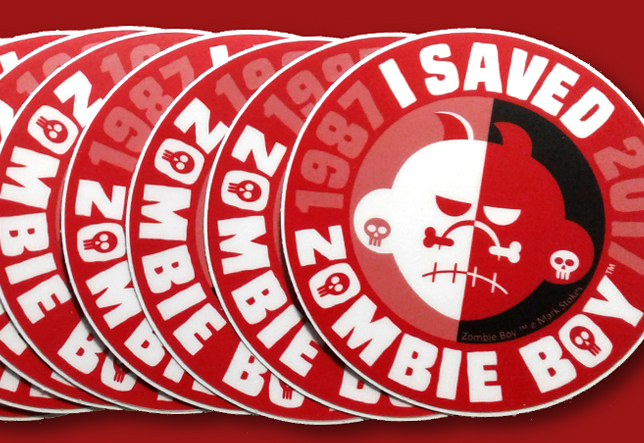 Your "I Saved Zombie Boy" stickers are going out in the mail. I'm mailing one to everyone who contributed to making this campaign a success! I appreciate all of you! An agreement has been reached between Rick "Zombie Boy" Genest and our own 11-year old undead adolescent, Morgan McCorkindale a.k.a. Zombie Boy! 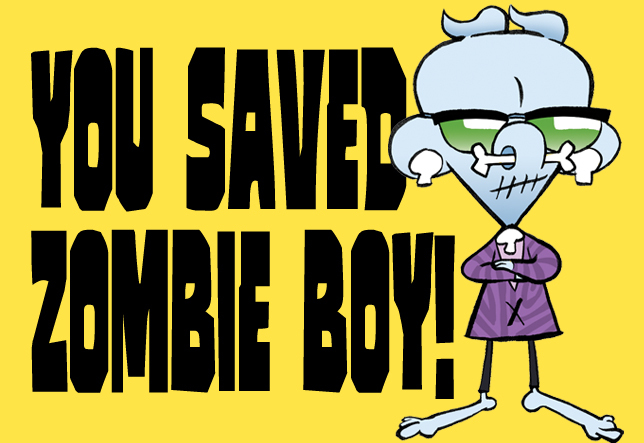 After some legal wrangling between Zombie Boy Entertainment and my legal counsel, we have mutually signed a contract that will allow me to continue creating Zombie Boy as I have been without the threat of legal action. I will be able to produce collected books, comic strips, comic books, and merchandise as I was doing before. I want to thank my brilliant attorneys, Kevin Harrison and Adam Mandell for their valuable legal guidance through the labyrinthian world of trademarks and their tireless guidance and support. I also want to thank Rick Genest, who was considerate to permit me continue to do my thing as I have been for the past 30 years. I also want to thank each and every one of you who supported me along the way, those who helped me spread the word and donated to the cause. I'm humbled to have such generous and caring people in my life! I couldn't have made this happen without your kind magnanimity! 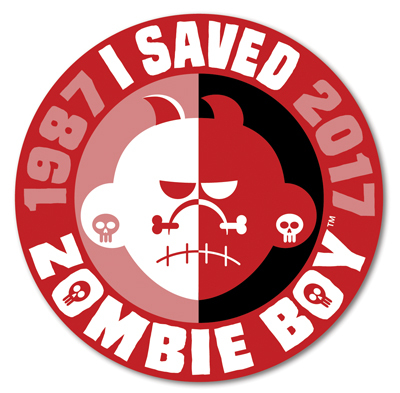 I'm in the process of sending out the "I Saved Zombie Boy" stickers to every one of you who contributed to make this possible. You should be getting yours within the next week or so. Thanks so much to all of you who helped make this happen! I've hired a trademark attorney who is helping me begin the process of preparing and filing an Opposition and make a preliminary attempt for a resolution to my trademark issue. Trademark law is so convoluted and there are so many nuances as to how the laws work, some of it is hard to explain in simple terms. 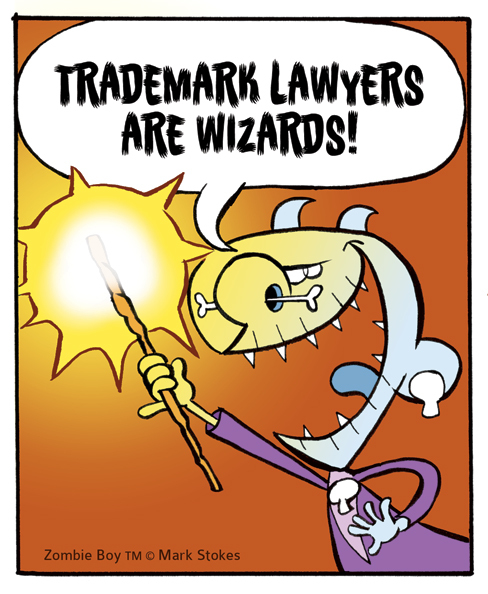 My attorney is like a wizard when it comes to all the arcane knowledge that's required to do his job. So far, things are going well. I'll keep you all tabbed on his progress. Hey everyone! 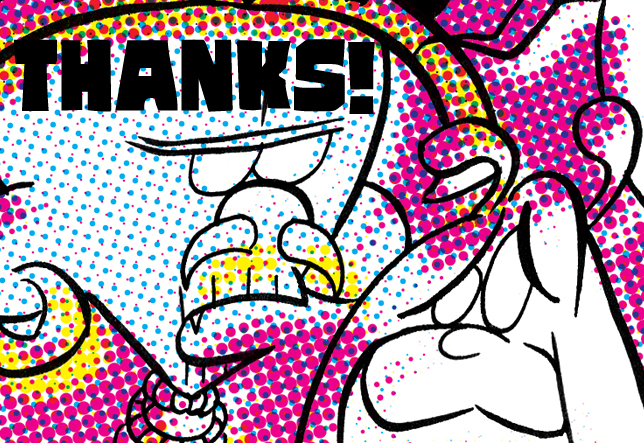 Thanks to all of you wonderful contributors, we're about 25% funded! I can't say thanks enough to all of you for believing in me and this cause! And thanks also for helping spread the word, it means a lot to me! Thanks for believing in this cause!